We have a serious affinity for elf culture in this house! Or at least an affinity for hot chocolate and candy – a big part of a proper elf diet. We're also massive fans of Christmas pajamas! Christmas jammies are one of my very most favorite holiday traditions and I love the ones we found for me and the girls this year that are ON MASSIVE SALE TODAY, along with a pretty inexpensive option too. TODAY ONLY, my girl's adorable swan pajamas, and SO many other ridiculously cute pajama options for boys and girls, are 40% off!!! I'm pretty sure this discount is tied to Cyber Week and probably one of the best deals you'll get between now and Christmas on these super super cute jammies. As you should know by now, I am totally obsessed with the pajamas I'm wearing! I may or may not have them in almost every color. Okay not really, but it's close! They are just THAT good!!! They're soft, lightweight and oh so comfortable for sleeping. I absolutely love that I don't sweat to death in these like you would in a lot of other Christmas pajamas! 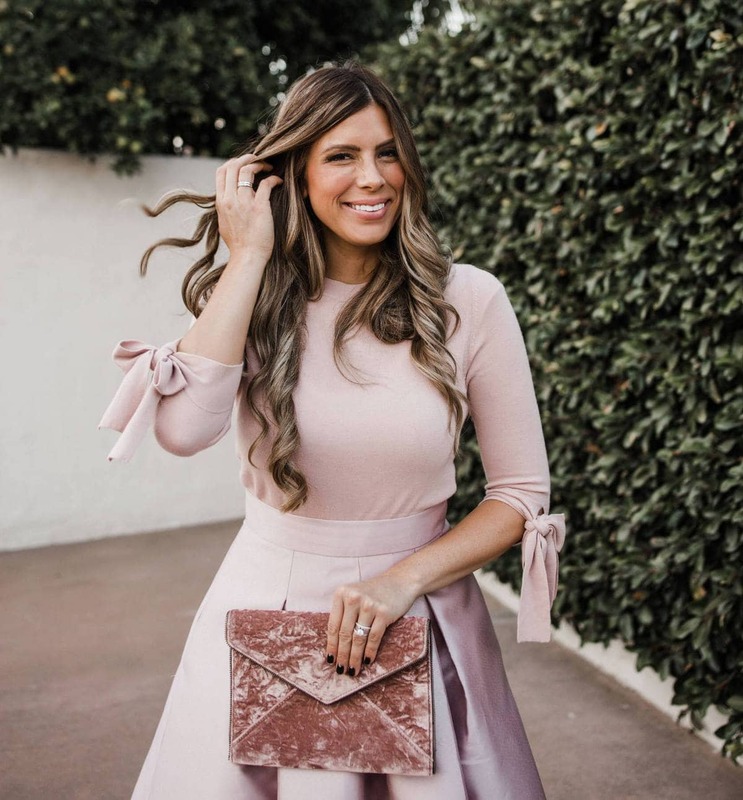 I thought this pretty light pink color coordinated perfectly with the girl's PJ's and I love that I'll be able to wear them throughout the year. My pajamas are also so cute that they're perfect for gifting! We included them in the Mother's Day Gift Guide last year (and a TON of other gift guides), but they're also great for a daughter (or granddaughter) for Christmas! 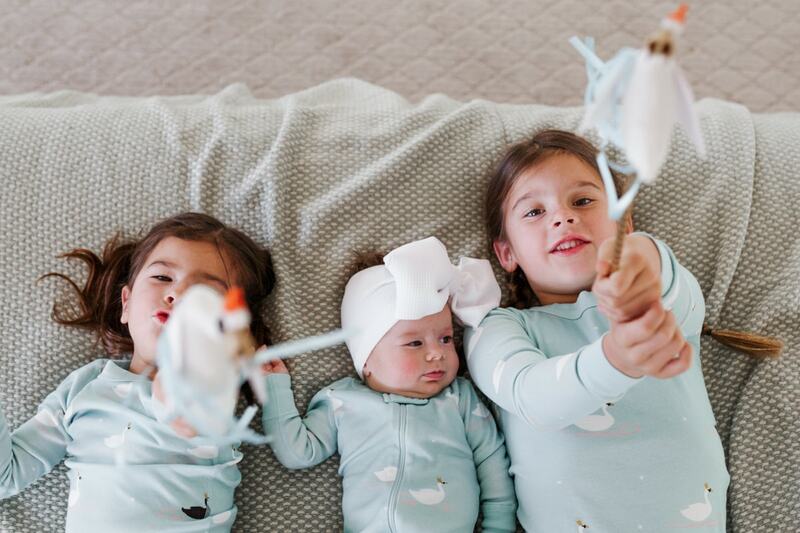 Seriously, how cute are the girls' matching swan jammers? I love how they're still Christmasy, but like mine, they are subtle enough that the girls will be able to wear them other times of the year too. They are also made with organic cotton, so they are extra soft and cozy and perfect for snuggles! The girls were (obviously) obsessed over these swan ribbon wands we got them to match their jammies. They felt like little swan princesses waving them around the house and I think Millie enjoyed watching them wave them around too! How cute is baby Millie matching her big sisters? It's actually SUPER challenging to find anything that matches in all 3 of the girls sizes, so I about died when I found her matching little footed sleeper. Here's a roundup of a few more super cute pairs of jammies to help you and your family get in the Christmas spirit! I LOVE these PJ’s and found out about them from you during last year’s annv. sale. I have the pink stripe from last year, 2 of the sleep shirts and the blue short set from this year annv. sale. Thanks for the great tip on the best pajamas ever! I love those pajamas too!